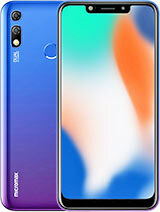 Do they stopped the production of this Phone ? when it com to market ? As compare to Nokia & Samsung Mobile phone.price is cheap with this specifications. this is to bring to your notice that I bought micromax superfone canvas a100 on 5th-sep-12 from"the mobile store" and on 16th-sep-12 suddenly the display is gone bad and phone doesn't turn on. On 17th-sep-12 I walk up to their service center and gave my handset for repair at "the salora international-kalkaji". To bring this to notice I call up their customer support and surprisingly there is no team lead and no manager or supervisor on floor to assist me and only customer care support executive who is unable to understand my problem and harassment I am facing. This is a sheer case of cheat. When I goto service center to get this checked they say pcb is gone bad and would take atleast a weeks time to get the spare and then replace it. 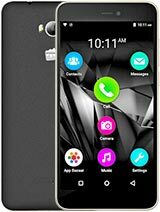 Do you think a person buying one of micromax's costliest phone of rs.9799/- Is a fool and can be played around like this. All I am asking is a replacement of my handset with a new handset or doa which I can take back to the mobile store to buy new one and service center is trying to explain me 7 days replacement warranty thing which is absolutely sheer case of poor and filthy after sales service. I would not accept this repaired phone now and want to get a new phone. I would be without a phone for a week and who would pay for my work and money loss and who would pay for that. I would be filing a case against micromax for cheat, poor after sales service and harassment with business loss in consumer court. I would definitely spread out my word of mouth to every person I know about my experience. I would publish an article as well in media about my experience I had with micromax. Please share your corporate center address and name of person against whom I can send in a legal notice or immediately confirm the procedure to get free replacement handset or refund. Shakil, 24 Sep 2012The main reason why we use Android phones is their compatiblity of running useful apps and coo... moreVideo calling is not possible in HTC one V, it have no front camera in this phone. Its price is Rs.18500. 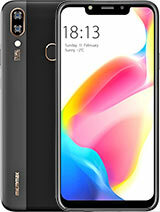 But Micromax A100 VGA front Cam available with price Rs.9500. vishal, 24 Sep 2012are you sure it will be available ?? ?Check in the mobile store in direct.. Anonymous, 21 Sep 2012d phone avlbl in all over ind at date.25-09-12. hey u said it will be available on 25/9 it means 2moro it will be available sure ?? 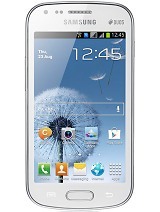 Anonymous, 21 Sep 2012This phone will be available in chennai by this weekend.are you sure it will be available ??? The main reason why we use Android phones is their compatiblity of running useful apps and cool, enoyable HD games. But in this phone, it's very hard to keep more than 20 apps installed. So why should we use it? Alternately, adding a few Ks you can buy HTC One V which is far better than A100. Thanks. 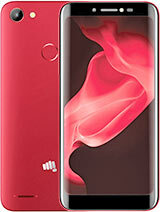 When Micromax A100 will be available in the market(Mumbai) ? Anonymous, 22 Sep 2012What is the difference between this phone & the chinese phones.This is a Indian company ok bhaiya. 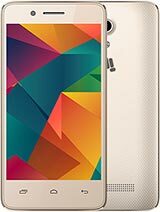 i using this phone working fine. P.S-5 years warranty on AUDI A8.